Two Muppets, searching for love. One chance to go the distance. Kermit the Frog. 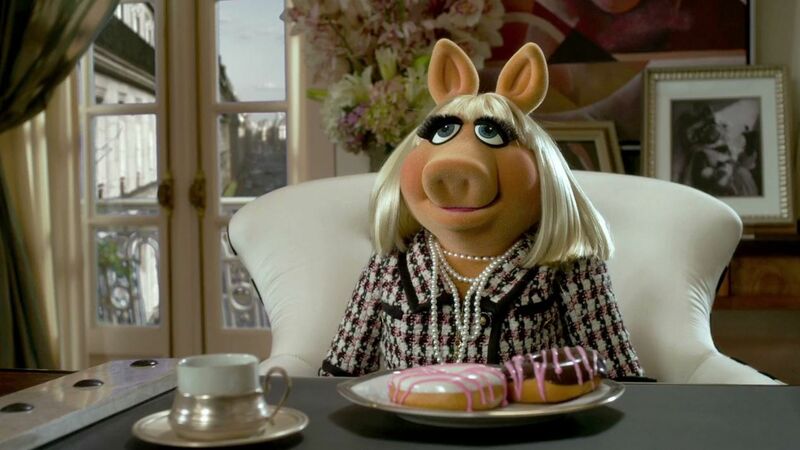 Miss Piggy. Jason the Segel. Amy Adams? Wait, wait, wait, stop. Are there humans in this movie? Wait, wait, wait, stop. Are we doing a parody of our own parody trailer? Well, yeah, yeah. I think we've taken this as far as it will go. The activity just got abnormal. Check it out: fart shoes! Good grief. Happy feet, dancing on, happy feet. Next. It's almost Twilight. Time for Breaking Prawn. By the way: Pepe is a shrimp, or prawn. So you get it right? Prawn and the dawn. Hahaha. This Thanksgiving it's time for the real deal. We'll see you at movie theaters everywhere. A night out at the movies would be nice. And then the Muppets had to go and ruin it. The Muppets. This now completes the parody portion of our advertising. Yay! Unless you want us to do one more? No! Alright, fine, we're done.